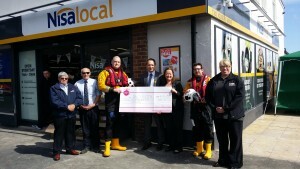 Nisa Blyth has chosen RNLI Blyth as their shop charity. Thanks to the newly opened Nisa store on Coomassie Road for having RNLI Blyth as their chosen charity. Our crew visited on their recent opening day to collect donation of £200 which goes directly towards saving lives at sea.